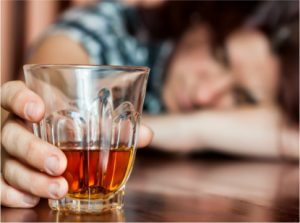 Alcoholism has a number of prominent symptoms, and each of these symptoms and/or their root causes will need to be addressed by treatment within any luxury rehab center. The most obvious signs of alcoholism or alcohol addiction are physical dependence and craving. When the body becomes accustomed to a substance entering its system over a long period of time it will begin to require that substance to function normally. Abrupt cessation can cause nausea, sweating, vomiting, and anxiety. The user will find themselves craving alcohol and needing it to feel “normal”. After drinking to excess for a great enough period of time the individual suffering from alcoholism will find themselves developing a tolerance to drink. That is to say that in order to achieve the same level of inebriation they will require increasing amounts of alcohol as the body becomes habituated to it. There is no silver bullet that will cure alcoholism, and to expect a quantum leap treatment is a mistake. Addiction is a process and holistic treatment is necessary to arrive at a complete and total solution.